Making sure other members and referrals know who you are and get to know you is an important part of the success of your business so you should update your profile with some branding and other information. 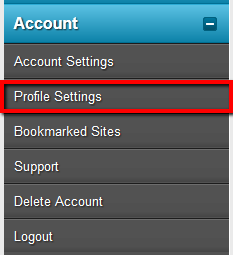 Using the navigation menu on the left of your members area, go to “Account” > “Profile Settings“. Here we will update some of your public details such as social profiles and photo. 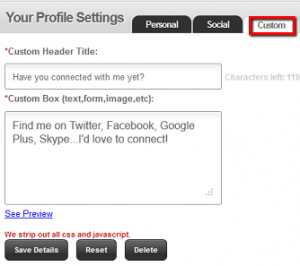 On this page you will see your first and last name, and a place for a Gravatar email address. This is a free service we use to host your profile photos. If you don’t have a gravatar account you can create one at Gravatar. Once you have an account or if you have one already, add the email address you use for gravatar in the email field. An important part of your success with internet marketing is understanding that your brand is key. And when we say “your brand” we’re talking about you. On ListSurfing you can help build your brand by sharing with other members ways to connect. While on the Profile settings page, scroll down to the Social section. This will give you a list of social networks which you can display on your profile. All you need to do is fill out the rest of the URL, such as Facebook.com/username – making sure you put YOUR name/address there. Any of those fields which you leave blank will not show up on your profile. These social icons will appear in a couple places, most importantly in the surfing screen when someone lands on one of your rotating pages, and also when you send an email ad. Members can click on any of them to reach you on the specific network, such as Facebook and Twitter to follow or connect with you! Additionally, on your profile like you can see on my profile, social icons will appear along with a slew of other awesome stuff, like achievements, your rotating websites, comments, etc..
One unique feature at your finger tips is our “Custom” box. You can see this right below the Social section on your profile settings page. This is a space shown both in the surfing window and on your profile which displays nearly anything you want to other members. You can put HTML code for an optin-box (maybe for your autoresponder to get optins), an image/banner hyperlinked to your website, or even a simple short message about you. You can test out how the box will appear to members by clicking the “See Preview” link below the box after you’ve added code/text to the fields. As an example, Barbara’s custom box (to the right) shows a rotating GIF image. If you aren’t sure how to add an image like this, let us know in the comments below or send in a support ticket. As a member of List Surfing you have automatically been added to our affiliate program, this means you can send people to your unique affiliate link, or advertise it on other websites/systems in order to get referrals into List Surfing. Once those referrals purchase any upgrade, you earn a percentage of it! Payouts are done every month and you will earn commissions on that referral forever as long as they remain a customer. To get your affiliate links and other tools to help you promote List Surfing, go to Earn > Affiliate Tools from your members area menu. If you are serious about promoting List Surfing I recommend to Upgrade your account to make sure you are receiving the highest possible commissions from your referrals. We also have a monthly referral contest to give you an added bonus just for referring others! As you refer other users, you will also get signups into the programs listed in our Downline Builder as long as you have updated your affiliate IDs for those programs. 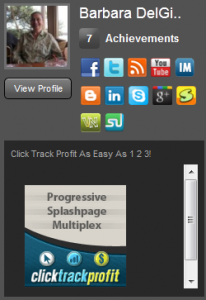 This way you can promote List Surfing and the same referrals will join you in other programs as well! You have completed the training guide, and you are prepared to use List Surfing to its fullest! If you have any questions/concerns at all feel free to contact me at my help desk. List Surfing has been a leading traffic provider in our industry for many years, and will remain so for many years to come. Recommended viewing: Watch this video to learn how List Surfing turns 10 minutes of your time into Massive Traffic each month. Duplication simplified by xnlife Only limited applicants daily so act now! ListSurfing is one of the real web traffic site with practical working solution…you can like or dislike the website you see while surfing, you can open the desired website in a new window without affecting your surfing, you get generous credits while surfing above all you can build your brand name with social connection…. Thank you Admin… keep up the good work. How long have you used List Surf, and have you filled in all your profile details? Just started using List Surf and I am still trying it out but I am liking it so far. I also acitvely use easyhits4u, leadsleap, viralurl, and leasedadspace. Anyone else use these programs?